Budget priced traditional styled pad made from good quality wipe-clean PVC facing. Ambidextrous. 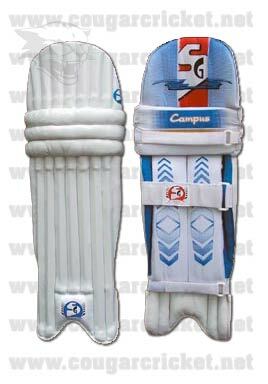 Can be used both by left and right handed batsmen. Cashmillon filled cane reinforced construction with cashmillon side flaps. All cashmillon bolsters with EPE foam sheet reinforcement.Wear resistant PVC instep with hard-wearing piping. Extra protection on top hat.